Doesn't that just sound so interesting! Anyway, I received an ARC and so I decided to give it a try, and I ended up really liking it! I settled on a 4 stars. You could sway me a bit, but overall, a very enjoyable book, and something which makes me contemplate picking up more fantasy this year! This story is set in the Kingdom of Sempera - where time is currency. In layman's terms - if you need money, you have your blood extracted, and this takes time off of your lifespan. This could mean literally bleeding out your rent, if you are struggling financially, and is a chilling equivalent of paying a fine. But at the other end, if you are rich, like the Gerlings, you can consume the blood of another, to extend your own lifespan. In effect, they could live forever. We are introduced to the main character, Jules Ember, who previously worked at Everless - the Gerlings' estate in Sempera, until she was forced to flee. However, when she finds out that her father is is catastrophic debt and is dying, she returns to Everless in order to try to extend his life, by earning more time. The drama really begins when Jules arrives back at Everless, where she is swept up in danger and violence, along with the twists and turns of a mystery which spans this story. In terms of the writing, I found this a pleasant read, with no real problems - although a new writing style always takes me a bit to get used to, I was completely invested once I was a few chapters into the story. Overall, the writing style works well in terms of captivating you, through the mystery elements of this book and is well-done, especially for a debut author. However, I did find it quite difficult to get hooked in the first few chapters, mainly because of the over-description of the characters and the world-building, which, once you understand the basic foundation, is very well thought-out. 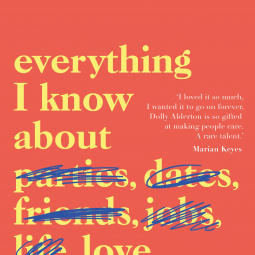 The characterisation is done particularly well in this book also, it becomes increasingly difficult to decipher who are the good guys and who are the bad guys - something which I applaud in a debut novel! This book is unique in terms of fantasy I've read, in that it focuses in on a lot of mystery. It would be difficult to put this book into the fantasy-genre 'box', when this is such a focus of the story. I feel as though, this is a welcome addition and led a page-turner of a book with an incredible PLOT-TWIST, which was hard to predict. There is a romance involved in this novel, as there is in almost all YA fantasy, however, the romance is far from the focus of the story, which I find refreshing. 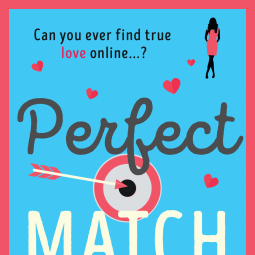 As much as I like a good ship, there is a time and a place, and this book didn't overly focus on the romantic aspects of Jules' life. I do feel, though, that this could be expanded upon in a possible sequel, as there are definite hints towards a romance. 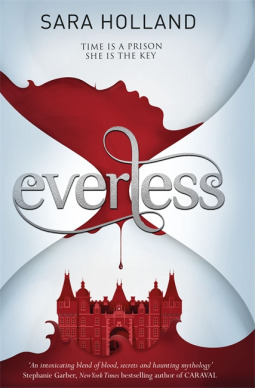 That being said, I would expect a sequel for Everless, as it ends on a significant cliffhanger, which sets up the plot of the next book perfectly. I, for one, can't wait to continue this story, either. Overall, I would very-much recommend this book, especially for fans of YA fantasy, but also to those, like me, who, perhaps, don't read a lot of this genre, and didn't expect much from this story. Give this one a go, I don't think you'll regret it. The unique plot is definitely interesting, and sets this aside from other books in this genre! Sara Holland is, undoubtedly, a talented debut author, and I look forward to reading more of her work in the future! I received this E-Arc in exchange for an honest review and would like to say thank-you to Hachette Children's Group for providing me with an advanced-readers-copy of this book.